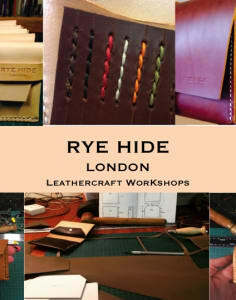 Rye Hide London enables you to create beautiful, individually handcrafted designs in the best quality leather. Established by Leather Artisan/Teacher Garry Meehan, the name Rye Hide reflects the area of Peckham Rye, south London, where his workshop is based. 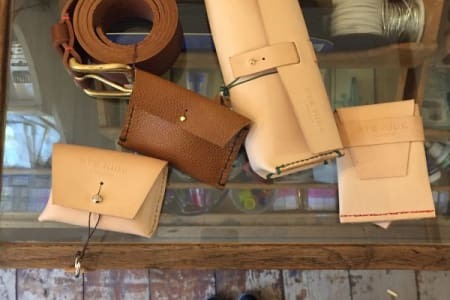 Garry uses simple and traditional leather-working methods to make individually handcrafted goods, from handbags to card-holders, glasses cases to change purses, which are as unique as they are functional. Leather craft focuses the mind, develops dexterity and creativity. 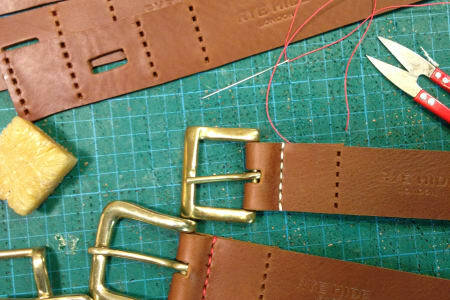 During your workshop you will craft using all the tools necessary to make a personal item, you will get to choose your own leather and thread colour; use a template to mark and cut the leather; learn how to master the two-needled saddle stitching technique; personalise with initials (make a unique gift for someone special). 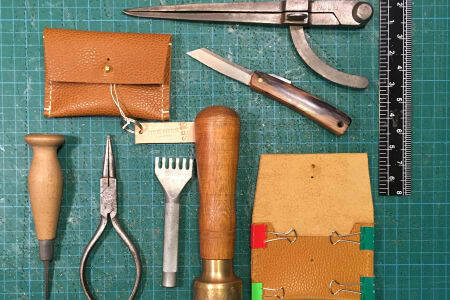 Under his confident guidance, Garry Meehan has run over 180 leather craft sessions in south London; from Stag and Bow to Space@61; from The Collective – Makers Market to Compass School Southwark, the workshops are tailored for his customers and span both adults and children; some as young as five years old. More workshops are being planned in London as well as a new location on the North Norfolk coast. Contact Garry for more details. Garry was an awesome teacher, really went the extra mile to make sure we all had a great session. Would highly recommend. I thoroughly enjoyed the leather making class. Garry is a superb teacher - very patient and calm and I came home with a lovely bespoke leather card holder. Highly recommended. I really enjoyed the Ryehide leather workshop. It was a chilled out space and it felt very communal with everyone gathered round the table swapping tools and advice. Garry was great - calm, patient and encouraging. The quality of the materials was excellent and I got quite distracted by all the lovely accessories! It was a relaxed way to spend a few hours and I’d thoroughly recommend it. Fantastic class - the teacher was friendly and approachable and made me feel relaxed and involved in the class. I met some great people and learnt a new skill. The teacher was extremely supportive and engaging, I highly recommend this class. Garry is a very enthusiastic and patient teacher (which was important in my case). A really nice end product is readily achievable and it was very interesting to learn the dark arts of the leatherworker. Highly recommended! I made a change purse out of lovely thick black leather and I was guided through the process step by step by the teacher Gary. The group was a good size and Gary was very organised, helpful and friendly. I really enjoyed learning a new skill, from cutting the leather to the right shape to stitching it together using a bright red thread. I love my purse and enjoyed taking part in the workshop. I thoroughly enjoyed this class and the guidance given by Gary. The amount of detail he went into and stories he told made the session with me and a couple of others so much fun. Also the place it was held was absolutely love. I'd definitely recommend this session. I will be making more pouches!